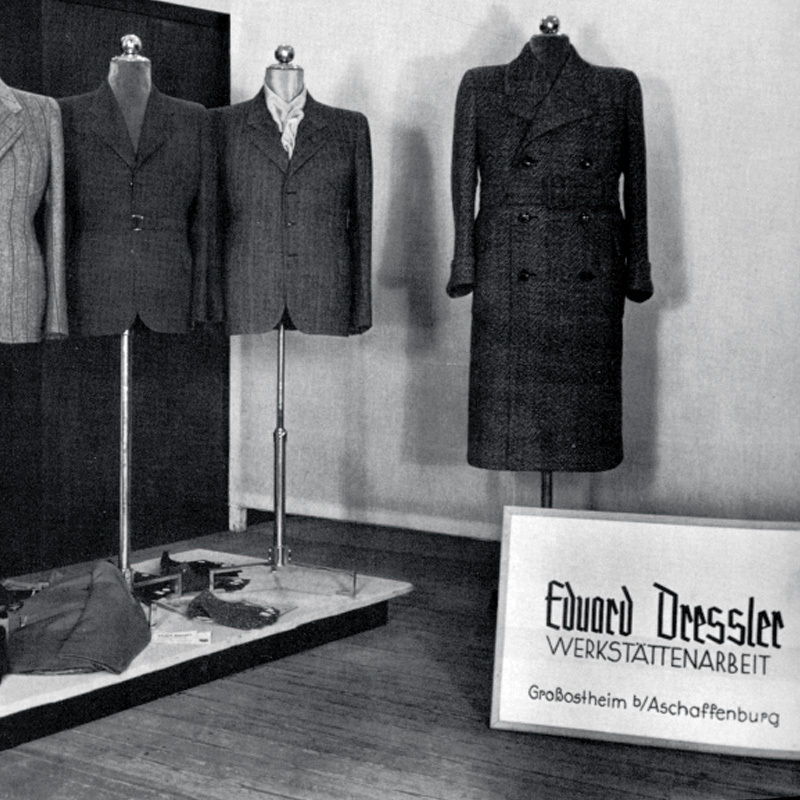 In April 1929, on the eve of the Great Depression, 21-year-old Eduard Dressler opened a tailor’s shop for men’s suits in Großostheim, a town in Bavaria located on the Main River. 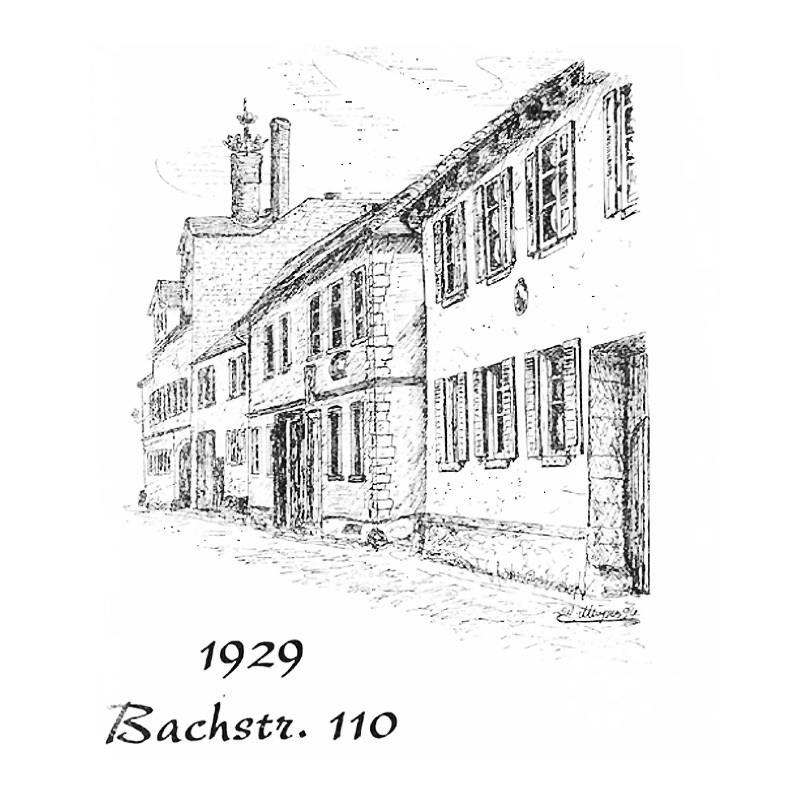 Success was not long in coming, and with modesty and a solid business sense he continually expanded production in Großostheim, then the centre of Germany’s garment industry. 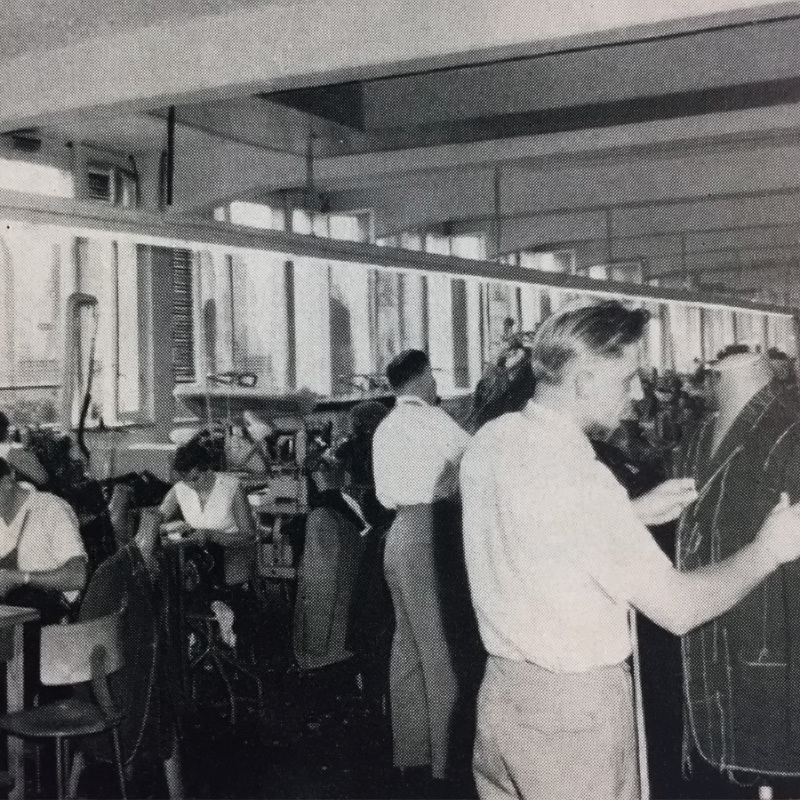 In 1935, one suit in four was produced in the city of Aschaffenburg or the surrounding region, an area that includes Großostheim. Full of passion and creativity, Eduard Dressler combined classic tailoring step by step with new methods of industrial finishing. After the war, the real upturn began. Eduard Dressler invested in expanding the company and adding to the product portfolio. Because of the increasing number of orders, the company’s factory had to be enlarged in 1951. It housed the firm’s administration, shipping department, pressing facilities and assembly and inspection rooms. 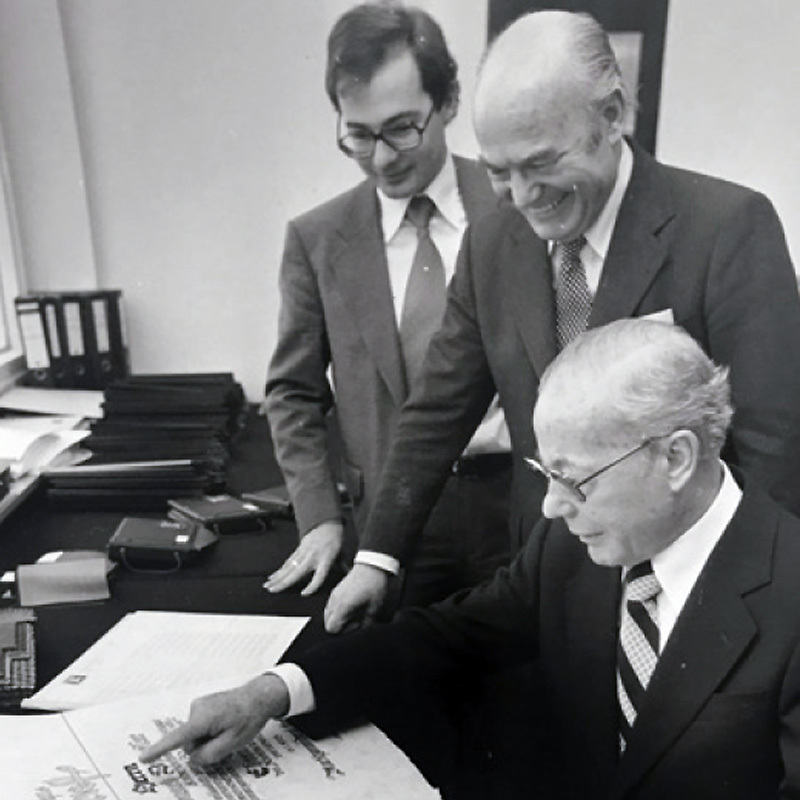 In 1969, Eduard’s 24-year-old son Heinz joined the company, introducing a wave of new fashion ideas. The qualified business administrator had one of the most advanced computing systems installed, refined the production technologies and processes, and developed a collection with a stylish flair. 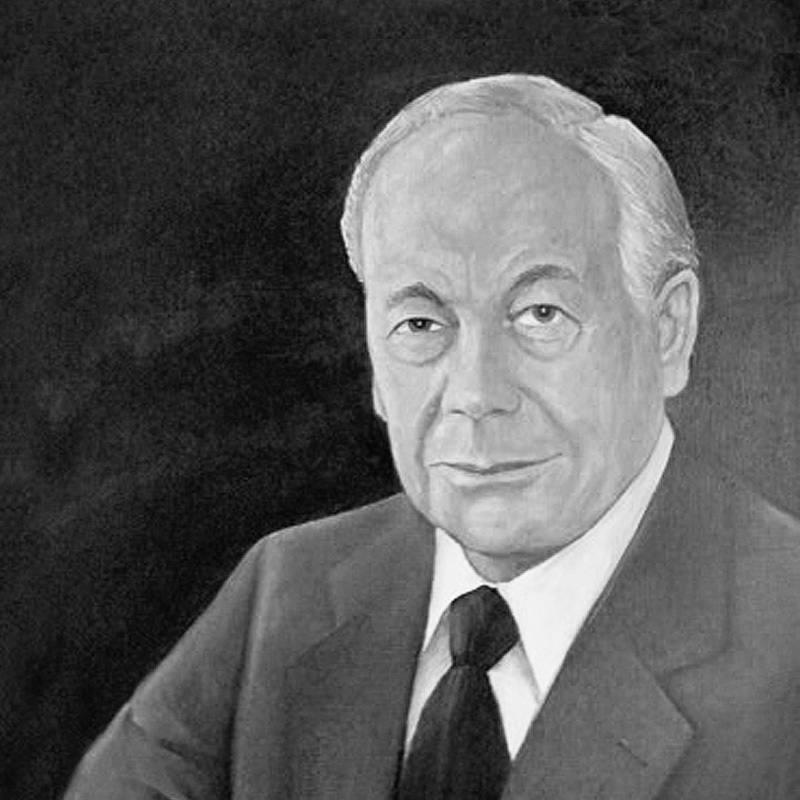 He expanded the company’s marketing activities, emphasising the DRESSLER brand in order to increase the firm’s international profile. Eduard Dressler died on 14 August 1981 at the age of 73. His son Heinz took on the role of managing director, determined to continue leading the firm as his father had. That same year, the brand was awarded the TW Forum Prize for outstanding achievement in the textile industry. Heinz Dressler received another very special distinction for his efforts: the Order of Merit of the Federal Republic of Germany. In 2003, following a corporate crisis and subsequent bankruptcy, all the company’s processes were reviewed and reorganised. Lars Kröckel took on the role of commercial manager, responsible for production, financial affairs, human resources and logistics. In 2004, the family-run company became part of Brinkmann Gruppe Herford. 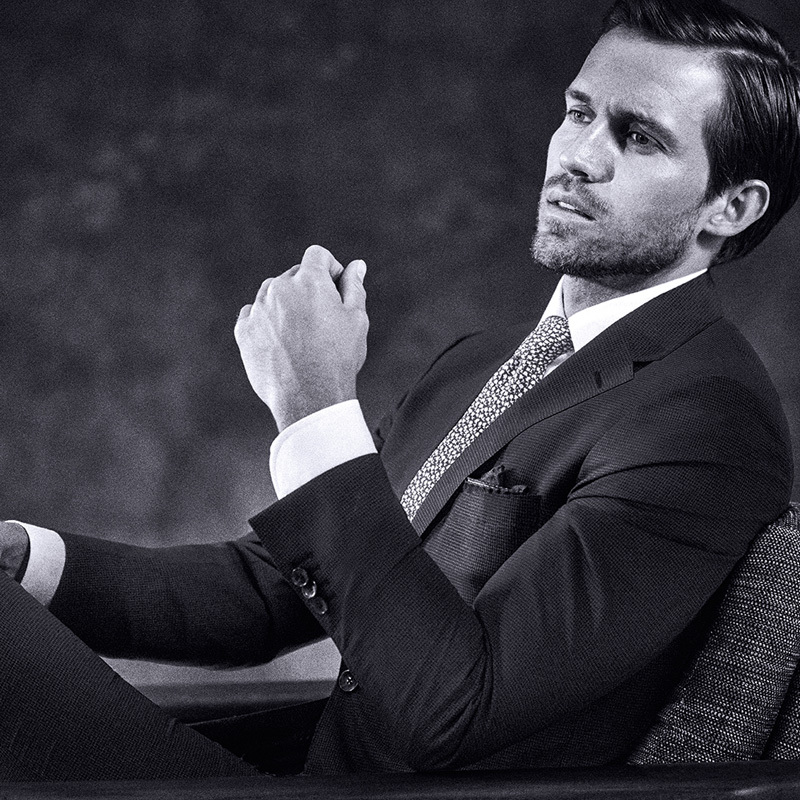 The masculine look and sophisticated elegance of our collections are made for men who want their wardrobe to boast the inimitable style that results from perfect tailoring. Since 2009, we have therefore been collaborating with brand ambassadors who share our lifestyle philosophy and insistence on quality. 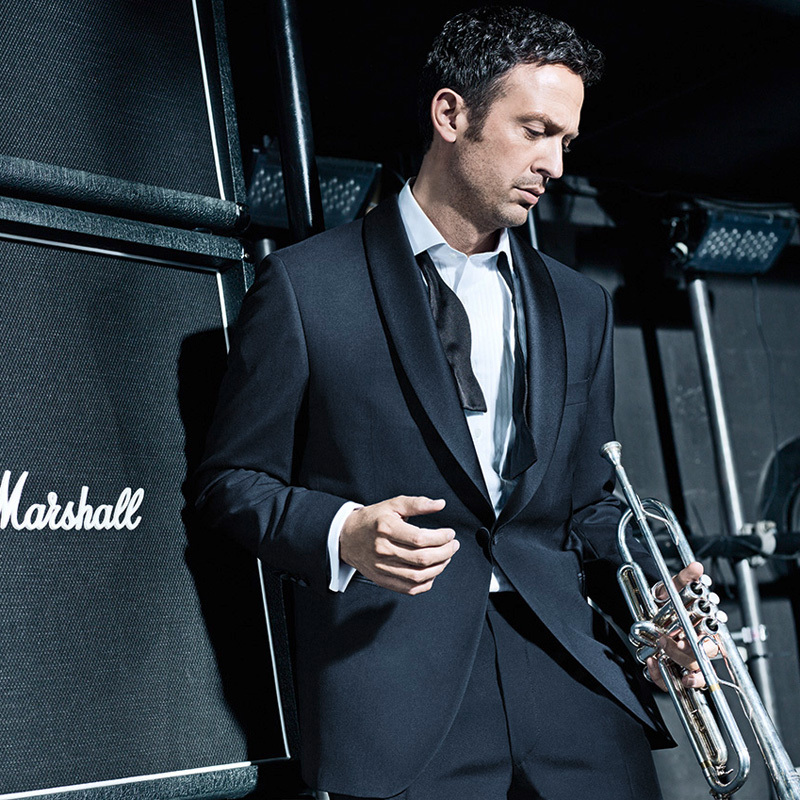 More than just partners, we enjoy a trusting friendship with, for example, actor Hans-Werner Meyer and musician and photographer Till Brönner. 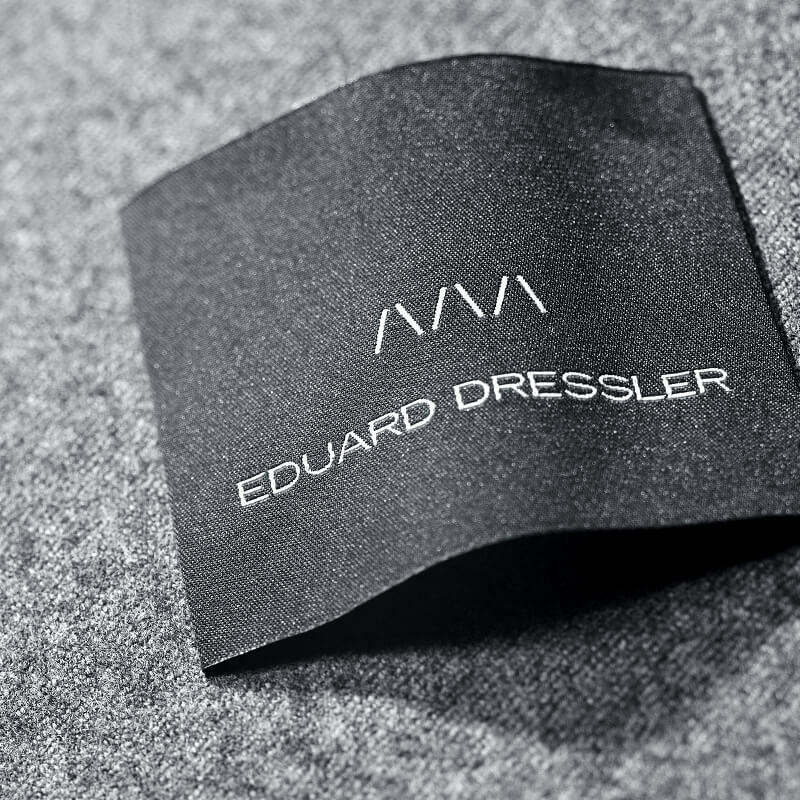 For 90 years, EDUARD DRESSLER has been known for its strong brand and its unfailing adherence to the values behind that brand. 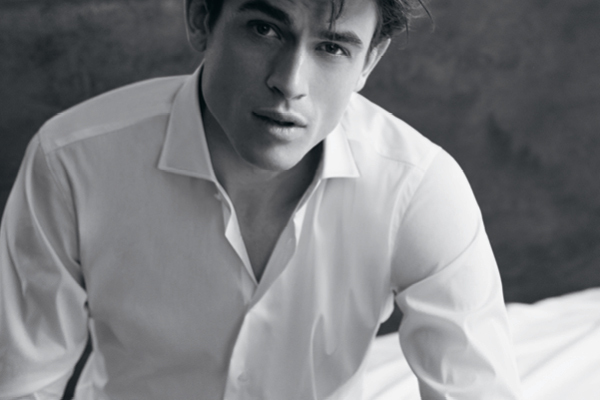 The values of elegance, sophistication and craftsmanship have long been the qualities associated with EDUARD DRESSLER. Thanks to the signet introduced in 2016, they now have a permanent place in the company’s logo.